PROXIA MES works on the basis of the standardized system platform, PROXIA Manager. This application platform combines all PROXIA modules and forms the basis for standardized data management. PROXIA Manager is the “application rack” into which PROXIA MES modules can be integrated as required. The application platform offers a broad portfolio of standard functions, which are used in all PROXIA MES modules. You therefore benefit from a consistent and standardized operating concept (Manufacturing Intelligence). 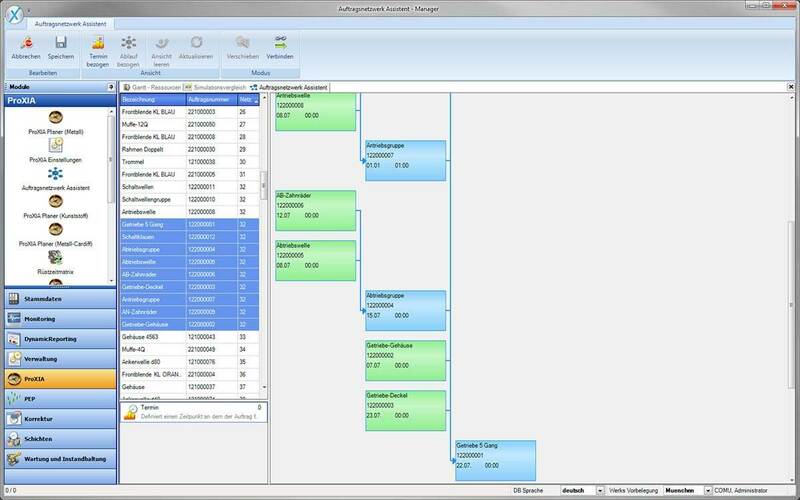 PROXIA Manager uses all information taken from a central database structure in the production system. The cutting-edge, updatable basic structure of PROXIA Manager is designed for long-term company concepts that will grow step by step with a company’s requirements. 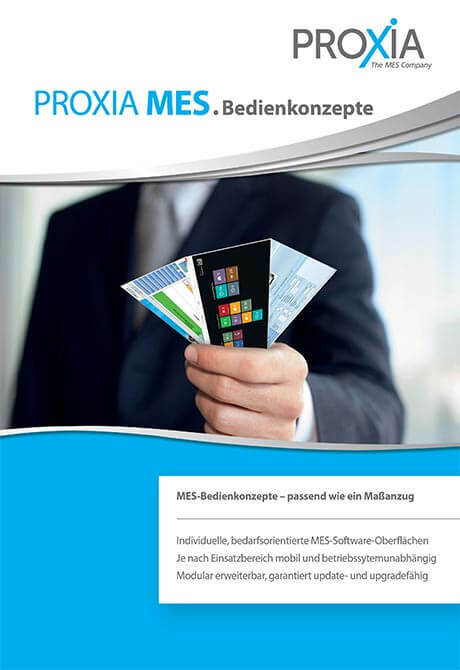 With PROXIA MES Manager, the user benefits from an integrated, uniform and state-of-the-art software operating concept. 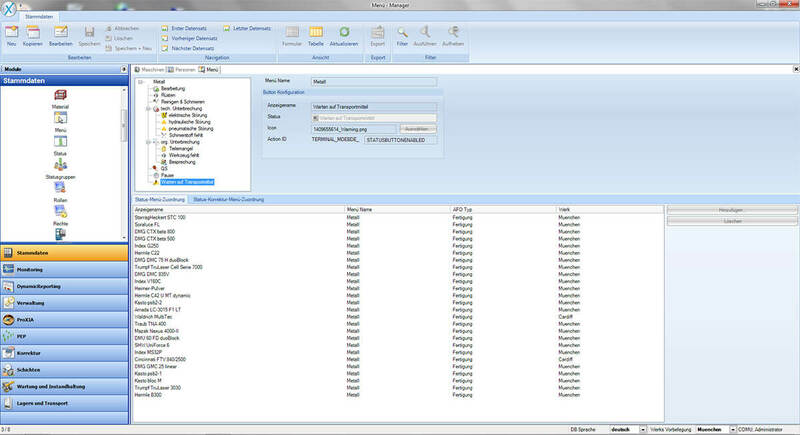 PROXIA Manager uses all data and information transferred from a central database structure. 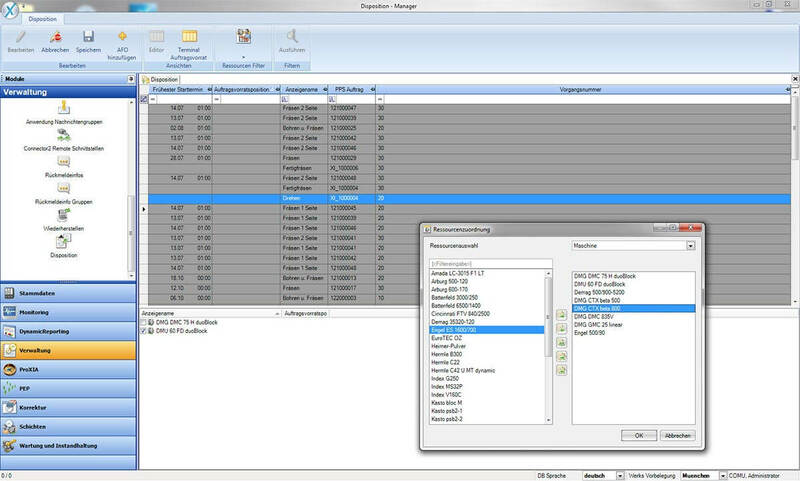 All allocations, configurations and settings can be organized via PROXIA Manager. 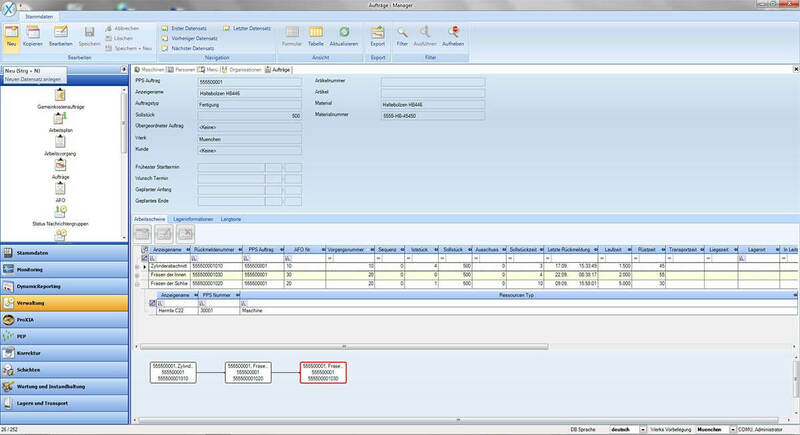 Changes to the MES Manager itself or the integration of additional applications can be carried out live during the operation of the MES-Software. 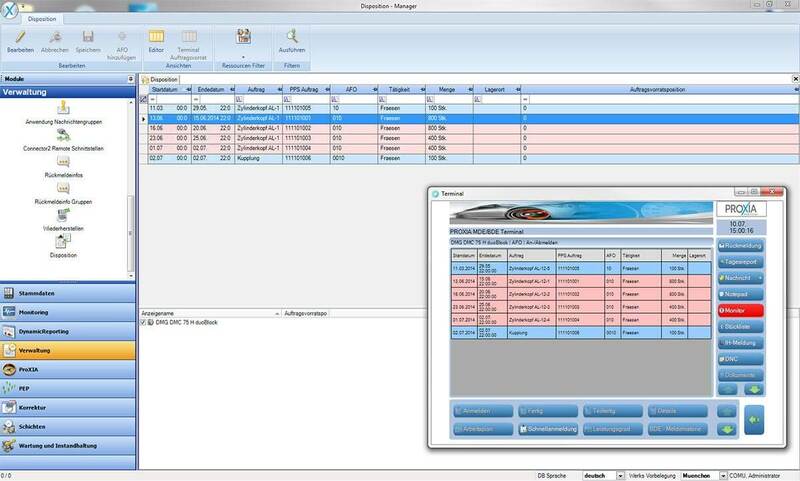 The PROXIA Manager has been designed so that the software solution can be adapted exactly to the requirements of your production and does not leave the standard. This means that your PROXIA MES is always up-to-date, and data consistency is maintained even in the case of changing company demands. Additional information sources can be added at any time and are immediately available to the integrated PROXIA modules. The PROXIA Manager has been developed with state-of-the-art software development tools and is subject to a permanent development. It is the foundation for a future-proof, powerful MES solution, which is growing with the company's requirements. Employees who spend a large part of their working day in the office on planning and controlling tasks, and who use standard office software daily, e.g. production manager, planning engineer or assembly manager, find a structure in the MES Manager operating concept with which they are already familiar from products such as e.g. Microsoft Outlook. 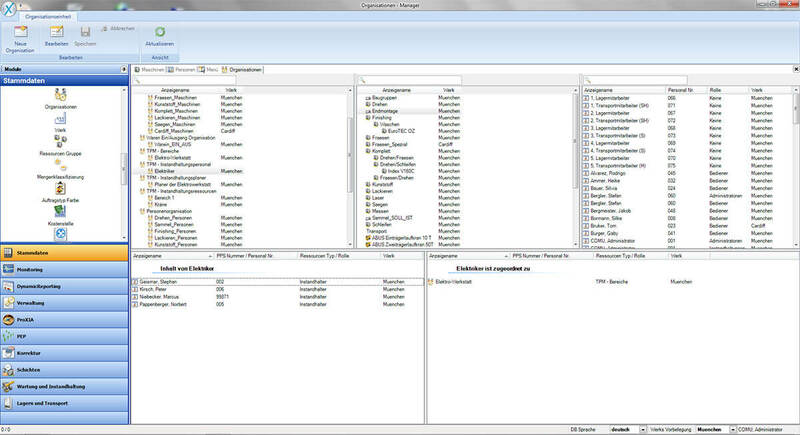 All MES modules are consolidated in PROXIA Manager. PROXIA Manager serves as the basic platform for all PROXIA MES applications. All data and information from a central database structure is taken from PROXIA Manager and processed in the relevant modules. PROXIA Manager adapts to the structure of standard software, e.g. Microsoft Outlook based on the operating concept. 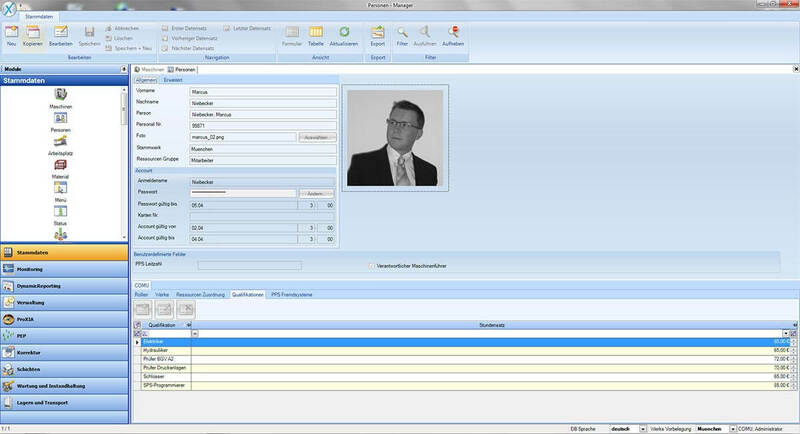 PROXIA Manager can be individually configured according to the user and area of responsibility. Almost 100% equipment availability, less than 1.5% scrap, 50% less organisational work – MES software boosts production at PENN GmbH. 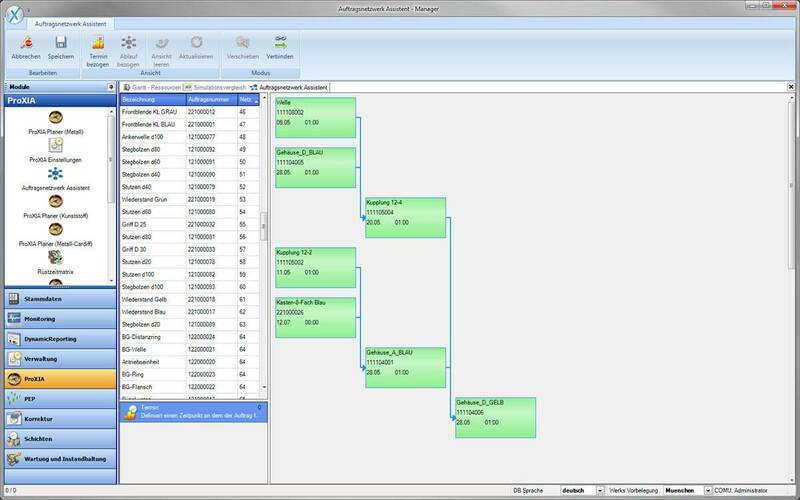 MTConnect is an open and extendable protocol for machine data documentation at shopfloor level. Unfortunately, MTConnect lacks the increasingly important security mechanisms for encryption and backup of the data flow. The PROXIA XI Gateway makes up for this shortcoming. Make the best use of the Cloud in an MES context! The trendy new “SaaS concept” (Software as a Service) is a customer-based principle. A great solution at first glance. But should or must all data be managed this way? Which philosophy to use and when? Is there an answer to this leading question, or do Process Management and Lean Production go together? Find out more here! Are IoT systems and open platform approaches, which are inspired by app concepts from the consumer sector, turning the MES world on its head? PROXIA MES Seminars – Production on track! Under this motto, we cordially invite you to the PROXIA MES seminars! Take this opportunity to get targeted solutions for your production optimization. 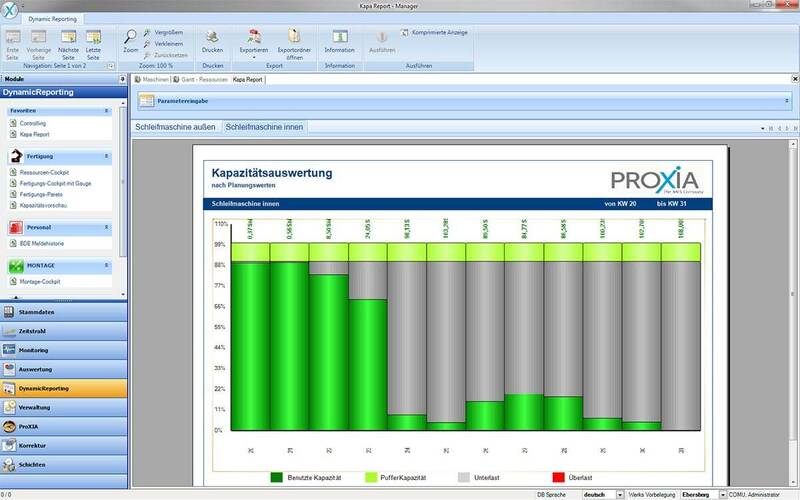 Collaboration with G-Tec Consulting & Engineering GmbH has enhanced the PROXIA Software AG consultancy portfolio. The new PROXIA process data module stores, uses and visualizes temperatures, pressures or speeds, and therefore provides another building block for the smart factory. Everyone is talking about “digital factories”, “smart factories”, “Industry 4.0”, or “digital transformation”. But what does this mean for the companies who implement the concepts behind this terminology? Is MES still needed if Industry 4.0 turns the automation pyramid on its head? Marcus Niebecker, Product Manager at PROXIA, has his own opinion. ProductivITy spoke with Marcus Niebecker about the role of IT in industry 4.0 and why we must hurry in the fourth industrial revolution. Industry 4.0: MES-Software vs. Autonomous control of "smart objects". MES expert Marcus Niebecker explains the importance of MES. MES seminar: How much Industry 4.0 do SMEs need? Your road a successful smart factory! Under this motto, we present practical MES solutions to small and medium-sized companies and show you how to make your company fit for industry 4.0. PROXIA MES ensures complete visibility across the entire production chain, as well as reliable online planning for reliable delivery schedules. PROXIA is now providing a fully integrated and highly configurable OPC UA client for M2M data exchange in its MES solution. 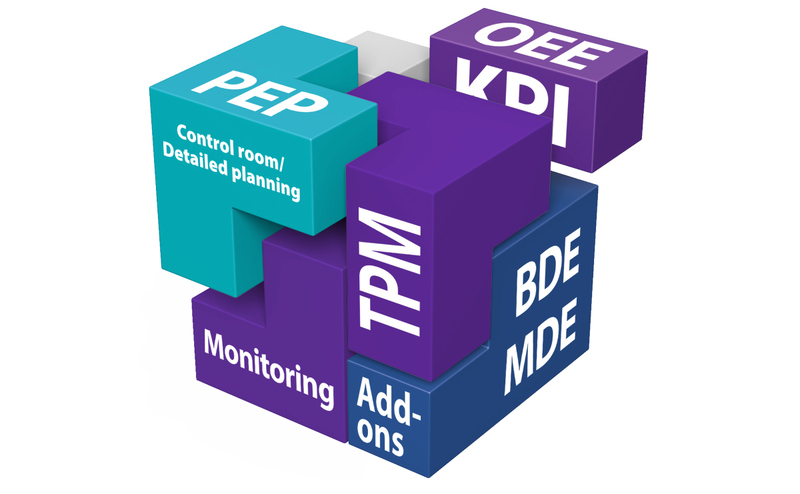 More knowledge, expect less: Increased productivity and the OEE by real-time data from production. More security and transparency with the PROXIA Machine data acquisition. 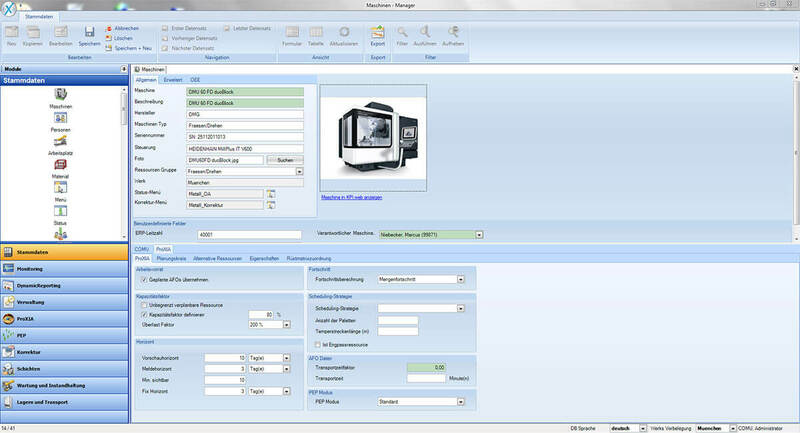 Demand-oriented PROXIA operating concepts and MES interfaces in the various application areas ensure more user-friendliness of the MES software. Unlocking hidden potentials and creating new jobs through more transparency across all processes, from design to shipping. Know what’s going on, when and where! The intelligent PROXIA MES (Manufacturing Execution System) with Control room, BDE and PEP helps Lehmann Metalltechnik GmbH to achieve greater flexibility in highly complex production. PROXIA Software AG starts off in the future and accompanies its customers on the way to Industrie 4.0: The term "Industrie 4.0" is also often referred to as the fourth industrial revolution. In order to achieve competitive processes, more and more companies also rely on LEAN methods in the factory. The recourse to production-oriented IT systems is a good option. The digital factory as a highly complex structure is unsettling the middle class. Why Industrie 4.0 has not yet reached the production halls of Austrian SMEs. 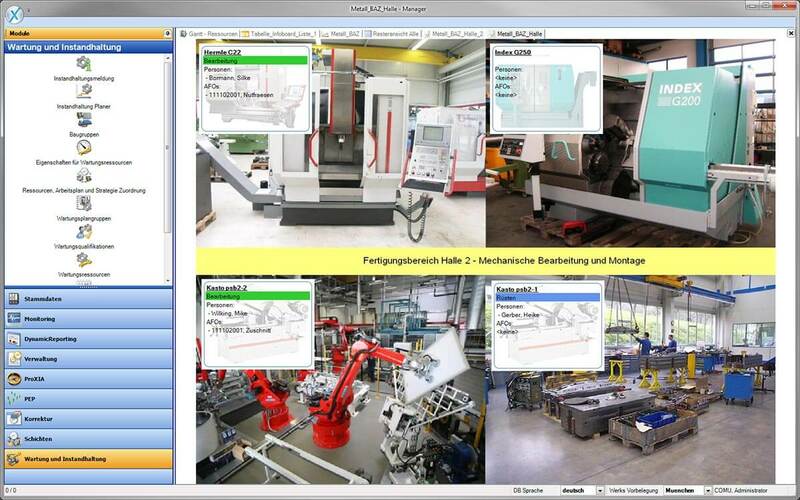 PROXIA MES solution with control room and BDE software improves production planning and machine utilization at teamtechnik Die Fertigung GmbH. With its new interface design, PROXIA Modern-XI offers production companies a wide range of advantages and benefits in practical production application. With Industry 4.0, European industry is facing a major challenge. PROXIA got the solution and offers a production system for the way to the Smart Factory. Exact production planning accelerates development as well as production at Obrist Closures Switzerland GmbH and ensures more than 90% of deliveries to be on time. From the factory to the mobile phone - production managers and entrepreneurs need independent access to current status reports and key idicators from the factory.